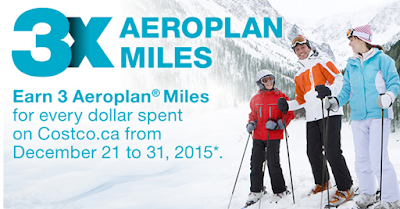 You can earn 3 Aeroplan miles for every dollar spend on Costco.ca from Dec 21 to 31, 2015. 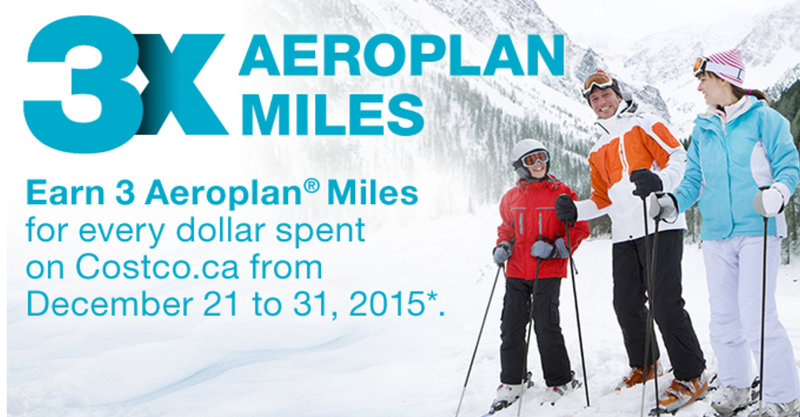 This offer is only available for orders placed online on Costco.ca. Some restrictions apply. It is a good offer if you want to buy somethings from Costco.ca before the new year.